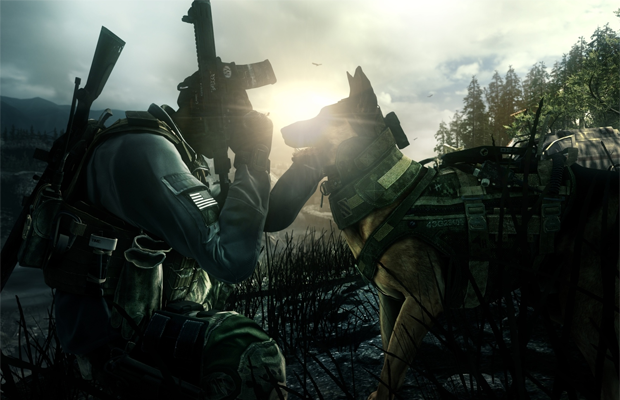 During the first few reveals of Call of Duty: Ghosts, one of the most memorable moments was the introduction of Riley. A social media riot seemed to emerge shortly after with the general consensus stating that Activision and Infinity Ward better not kill the “dog”, or else. While we don’t know whether or not Riley will die in Call of Duty: Ghosts, it’s an interesting dynamic to explore. Though we’ve only seen the dog character in a few videos, the industry seems to immediately have an attraction to Riley that would make Peter Molyneux proud. With such a controversy likely on the verge of erupting, we’ve outlined five possible “deaths” that we could see for Riley in Call of Duty: Ghosts. The scenarios that we’ve included are completely speculation, and are in no way representative of any “inside information” that we may possess. Having played the series in its entirety, our scenarios reflect typical tropes often seen within the series.